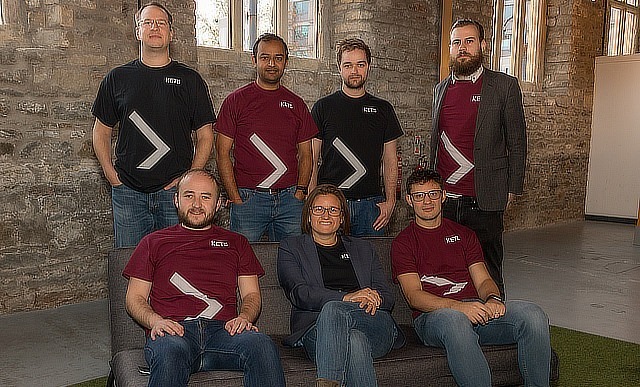 University of Bristol spinoff KETS Quantum Security has raised £2m for its quantum encryption technology that it believes will be the foundation of digital technology in the future. “Our aim is to become the digital security OS of the future, protecting our digital information and critical infrastructure in the 21st century and beyond,” said Chris, CEO and co-founder of KETS. The funding comes from French early stage venture fund, Quantonation together with embedded database developer Kx, along with £1m from Innovate UK and the Industrial Strategy Challenge Fund. The company is developing a range of future-proof, cost-effective technologies for quantum-secured communications that have the power to improve the secure transmission of information such as banking details and medical records. This is based around an integrated quantum photonics chip. Bristol is a leading centre for quantum technologies with startups such as KETS, Fluoretiq and Qontrol Systems as well as leading Swiss company ID Quantique based at the Unit DX science incubator. The KETS technology has already been tested ona drone to provide secure communications. Secure communications systems has proven robust against both conventional and quantum threats, and the KETS team aims to use these systems to boost security in defence, telecoms and critical infrastructure, with customers in finance, governments and data centres. The backing from Kx opens up the use of quantum encryption on databases used for financial transactions and also for the Internet of Things. The database can put time stamps on data with a accuracy of nanoseconds and ensure that the data can be used quickly and in the right order. The backing enable KETS to accelerate its growth and undertake trials in the aerospace and telecommunications sectors. Quantonation is an Early Stage Venture Fund for Quantum Communications, Computing and Sensing. The fund is managed out of Paris by Audacia, a French-regulated private equity investment firm. “KETS is proud to be one of the first start-ups emerging from the National QT programme. This funding will allow us to build on the UK’s investment and deliver first products to our early partners and customers,” said Erven.